With a mission of “remembering those who have made the ultimate sacrifice,” the 200 Club of Morris County has been a fixture in the local community for over two decades. When the club sought to refresh their website to better present their mission and increase member recruitment, they turned to the experts at Digital Strategy Associates. The website allows new membership applications to be submitted online and has a dynamic calendar which displays upcoming events. 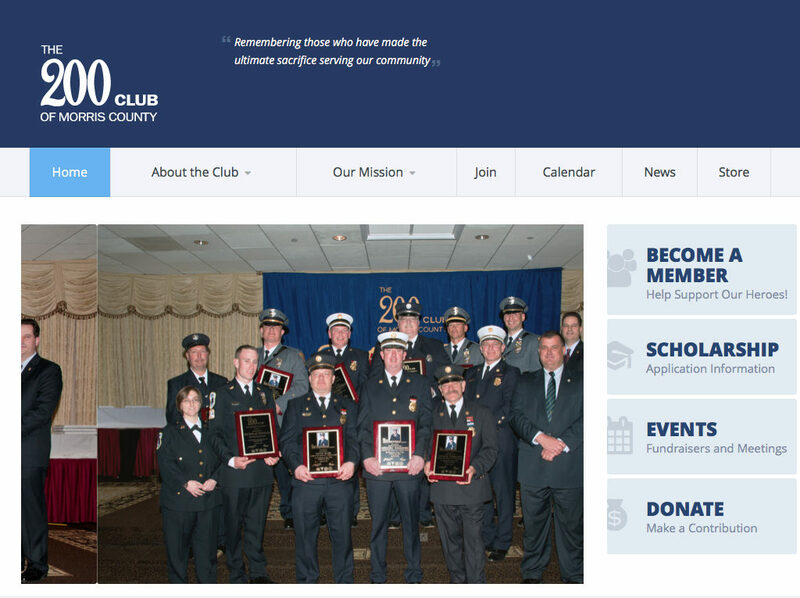 Digital Strategy Associates collaborated with club leadership to identify, develop, and implement a website design strategy that addresses their existing needs and future goals. The newly designed, responsive website, looks great across all devices and computers, including tablets and smartphones. With an easy to use content management system, members can post news and announcements.